This morning was a morning that I have been dreading for weeks, because, (1) Miss Autumn hates having her picture taken in a studio (stranger anxiety!) 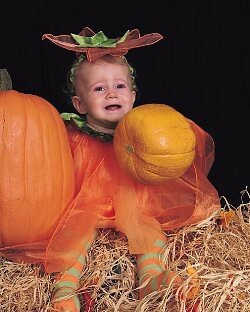 and (2) Miss Autumn hates her pumpkin fairy costume that I selected for her. 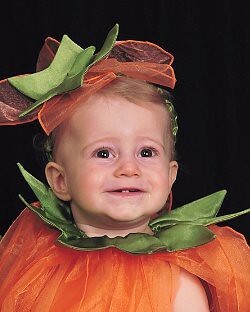 Why did I decide to make her a pumpkin fairy? 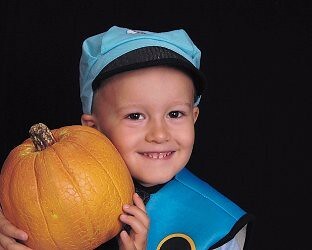 (1) I love Gymboree’s costumes and (2) Nathan was a pumpkin for his first Halloween, so I thought it’d be too stinkin’ cute to make Autumn a pumpkin for her first Halloween, too! So, this morning we had the FIRST time slot at 9:00 a.m. at JCPenney’s, and I had Autumn dressed in her costume in the carseat so that I wouldn’t have to put the thing on her there. 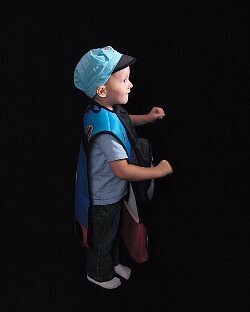 This was good because it gave her time to vent about having the costume on that she hates… I know, poor girl… plus, I have been putting this costume on her every day since I got it, so she is learning to ‘tolerate’ it. 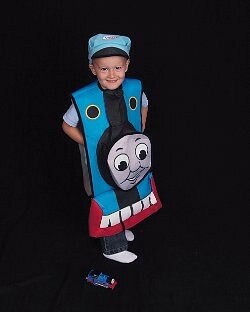 Thomas the Train is Nathan’s favorite toy right now, so of course he will be Thomas for Halloween. 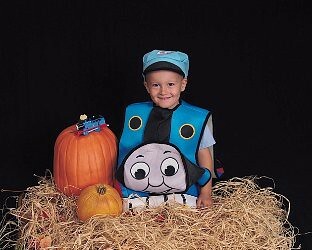 Look closely and you’ll see Nathan’s little Thomas train on top of the pumpkin… SO cute! I love this picture! And, the one picture that MADE MY DAY! 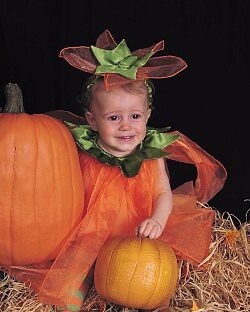 A smiling pumpkin fairy! Thank you, Autumn!! Of course, she didn’t smile the entire time… heheh. And, SCORE again!! 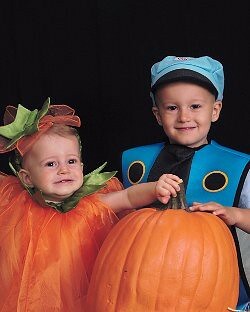 Both kids are smiling in this shot of them together… oh, did I go home as one proud Mama!